A to Z Winery Swing Building | WALSH Construction Co.
A to Z Winery is an excellent example of what can be accomplished when environmental consciousness, visual aesthetic, and production functionality are given equal emphasis in the design process. 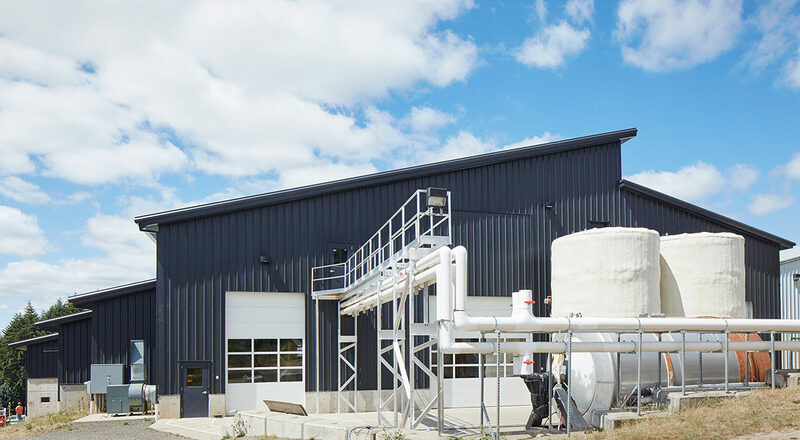 Much of this state-of-the-art winemaking production facility was self-performed by WALSH and constructed while integrating functionality with environmental sustainability. The Swing Building is a metal structure that includes a large polycarbonate clear-story that houses fermentation tanks, offices and a lab. It includes a CO2 extraction system, many overhead doors, large catwalk system to access the tops of 30-foot tall tanks.